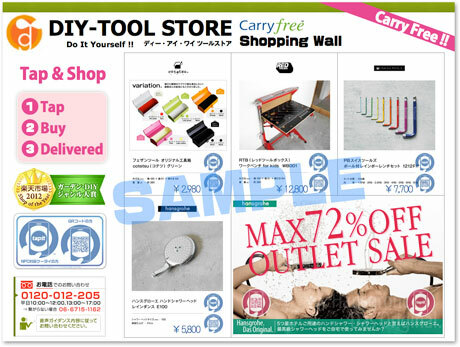 Online retailer DIY-Tool.com is to launch a physical “shopping wall” that makes use of NFC tags and QR codes, using a new platform developed by Tokyo-based Aquabit Spirals, NFC vendor Tapit and application development company EC Sites. When a customer taps or scans a product displayed on the Carry Free shopping wall, they are redirected to an online purchase page from where they can place an order for home delivery and make payment with their mobile phone. 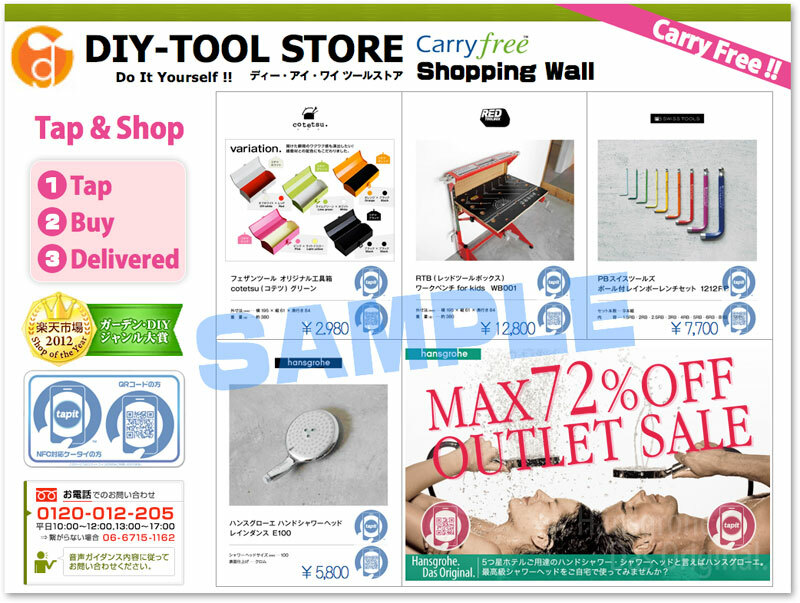 “Starting a real DIY tools store at a metropolitan area is very hard in regards to cost,” says Takehito Yamad, president of DIY-Tool.com owner Daito. “Shopping Wall enables it, if even only a wall exists.